Or should I say, blue for Mother’s Day. It’s sunny and bright and beautiful for Mother’s Day here in New Hampshire, and I don’t have the blues, just pictures of blue flowers. 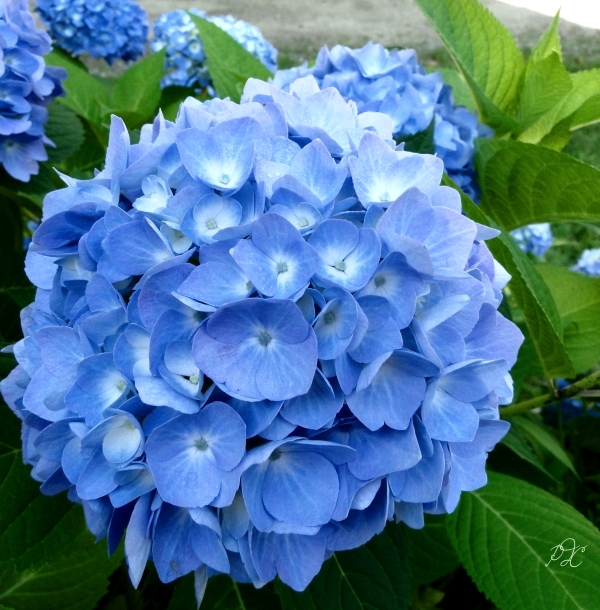 There are no hydrangea flowers in the yard yet, so I’ve gone into my massive archive (haha) and pulled out a favorite photo to share. I will be heading outdoors soon and hopefully the black flies will leave me alone. I have a mound of dirt to move around in my trusty wheelbarrow. There are seeds to plant and grow in my little greenhouse and plenty of other things awaiting my attention. But first I have to pick up my son. Then the day will be mine. I don’t have a Mother to celebrate so I get to celebrate my own motherhood. I’ve been a mom for nearly 37 years and I like to think that I have done a good job. I hope that my children have learned some good things from me. Like perseverance, independence, thankfulness, and the importance of having a good work ethic. I think all my children have turned out well, and of course they are still evolving, but in general they have good hearts and are very decent people. So Happy Mother’s day to all the moms who may come across this post today. The blue flower is for you as my wish that you will stay strong in this journey of motherhood that is really never-ending. And for the mom’s who do it all alone, you are not alone in your journey. There are many of us out there who also have to make our best attempt to “do it all”. It’s impossible, so pass on the things that can wait and take care of the things that won’t. Children grow up very fast and our job is to see that they grow up well. There are great rewards for that.